The Da Vinci Private Clinic provides personalized, professional and discrete private healthcare services since 2011. Located in the city of Pécs in the Southwest of Hungary, the state-of-the-art glass and concrete facility provides an unparalleled environment to treat our patients with the outmost care and respect. We work in cooperation with a team of more than 50 doctors and leading medical experts, who are also at the forefront of research in the latest medical technologies. Two operating theatres, eight outpatient departments, two dental operating rooms, seven double patient rooms, two exclusive single rooms; even our spacious parking lot and cozy waiting rooms were all designed to serve the needs of both our patients and our professional team. 1. 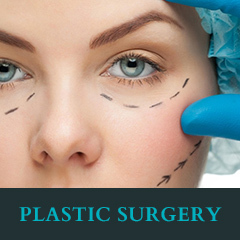 Plastic and reconstructive surgery is based on the capacity of our operating rooms, we serve patients both on national and international levels. To accommodate our patients even further, we offer consultations in Budapest as well. 2. The dental department is the only private dental care provider of the region, that – in cooperation with our surgical department – performs surgeries under general anesthesia. 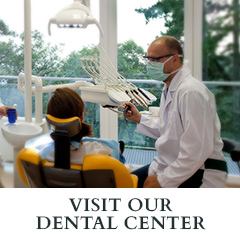 We have two fully equipped dental consulting rooms and a panoramic x-ray machine. 3. Outpatient consultations are based on the dozens of medical fields our doctors represent, including urology, gynecology or orthopedics. Our primary target is the population of the Southern Transdanubia region of Hungary, however, many of our experts attract patients from around the country. We offer surgeries in most of these fields as well. Da Vinci Private Clinic is one of Hungary’s most luxurious private hospitals. The Clinic is a state-of-the-art facility that employs specialists professionally trained to provide the highest standard of private healthcare. 7635 Pécs, Málics Ottó street 1. Payment methods Follow us on Facebook! Would you like to learn more about novelties in medicine or are you interested in our unique services? Subscribe to our newsletter!